ABC celebrates the most romantic time of the year with Valentine's Day-themed episodes of "The Kids Are Alright," "black-ish," "Splitting Up Together," "The Rookie," "The Goldbergs," "Single Parents," "Fresh Off the Boat," "Speechless" and "General Hospital." 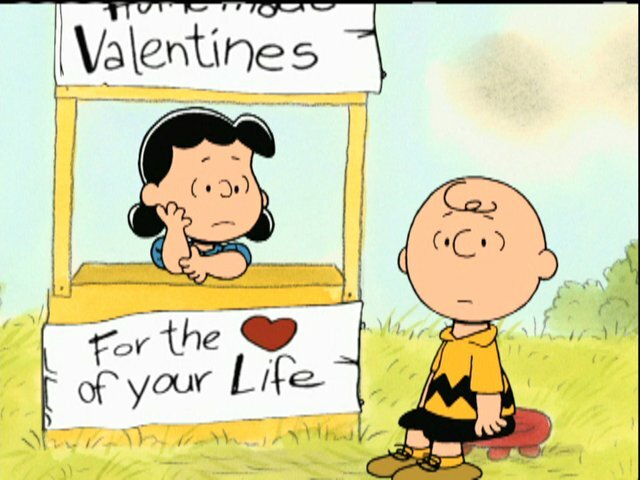 Two classic Charlie Brown specials, "Be My Valentine, Charlie Brown" and "A Charlie Brown Valentine," also return for the holiday. Watch on the ABC app from your smartphone and tablet (iOS and Android), computer on ABC.com and connected devices (Roku, AppleTV and Amazon Fire TV). See the schedule below! "BE MY VALENTINE, CHARLIE BROWN," "A CHARLIE BROWN VALENTINE" – (8:00-9:00 p.m.) "Be My Valentine, Charlie Brown," the 1975 special produced and animated by the same team that gave us the now classic holiday specials and taken directly from the late cartoonist Charles M. Schulz's famed comic strip, will air with the classic "A Charlie Brown Valentine." In "Be My Valentine, Charlie Brown," hearts are fluttering on Valentine's Day at Birchwood School, and Linus has brought a huge box of candy for his homeroom teacher. Thinking that the candy is for her, Sally reciprocates with a homemade card for Linus. Meanwhile, Lucy demands some affection from Schroeder, and Charlie Brown waits for his cards in the mail … and waits … and waits … In "A Charlie Brown Valentine," Charlie Brown finally works up the courage to call the little red-haired girl to ask her to the Valentine's Day dance. But, once again, he ends up brokenhearted and empty-handed when he dials the wrong number and reaches Peppermint Patty instead. "THE KIDS ARE ALRIGHT" – "Valentine's Day" – (8:30-9:00 p.m.) To inspire Timmy to take better care of his personal hygiene, Peggy decides to take matters into her own hands and tricks him in hopes of solving the problem. At school, Timmy receives a Valentine's Day card from a secret admirer and becomes unnerved by the possibility of having a mystery suitor. "BLACK-ISH" – "Dreamgirls and Boys" – (9:00-9:30 p.m.) Dre and Bow struggle with the changing times of identity politics and gender neutrality. Diane auditions for the school play and scores the male lead part, but her crush starts spending time with another girl. Meanwhile, Junior's Valentine's Day date goes awry after Dre and Pops have a talk with him about chivalry. Wanda Sykes guest stars. "SPLITTING UP TOGETHER" – "Luv Ya 2" – (9:30-10:00 p.m.) After a doctor's visit, Arthur learns he's under high stress due to Valentine's Day approaching. To relieve the tension, Arthur expresses his concerns to Camille and asks if they can take a break from the holiday which causes them to argue. He shows up at Lena and Martin's house, where they help by taking him in. Meanwhile, Maya and Camille express disapproval when Lena decides she wants to cook a platonic Valentine's Day dinner for Martin at home. Elsewhere, Mason organizes a Valentine's Day flash mob for his girlfriend. "THE ROOKIE" – "Heartbreak" – (10:00-11:00 p.m.) The most dangerous day of the year – Valentine's Day – has the team on high alert and Officer Nolan invites everyone over for a party now that he is single. 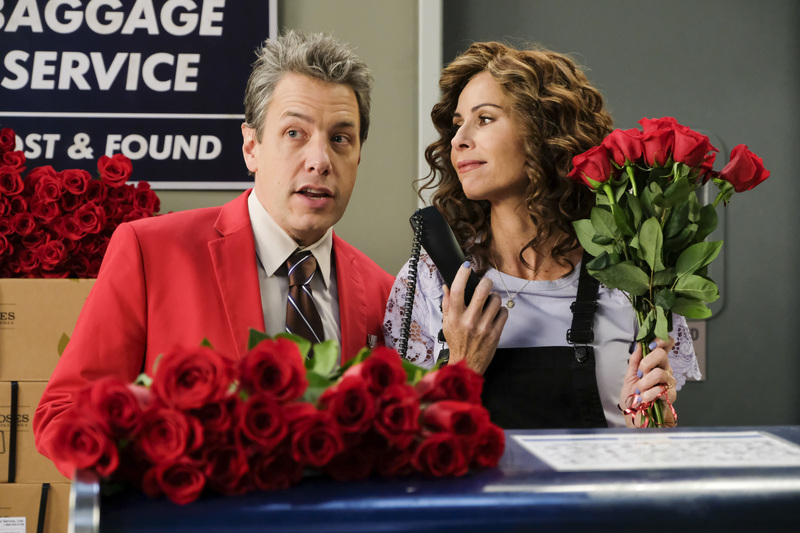 "THE GOLDBERGS" – "My Valentine Boy" – (8:00-8:30 p.m.) With Geoff's help, Erica and Valley Erica find a new band member to replace Lainey, but Barry convinces Geoff the new band member is trying to steal Erica from him. Meanwhile, Adam and Murray try to out-gift each other so that neither of them has to go to Valentine's Day dinner with Beverly. "SINGLE PARENTS" – "A Cash-Grab Cooked Up By the Crepe Paper Industry" – (9:31-10:00 p.m.) Douglas agrees to babysit the kids on Valentine's Day, but when Graham finds himself in a Valentine's Day emergency and Big Red shows up unannounced, Douglas and Big Red band together to help Graham. Meanwhile, Will and Miggy celebrate "Palentine's Day" together – a day honoring the love of two friends – but when they run into Angie at her second job, they help her finish her deliveries so she can be with Owen on Valentine's Day. "GENERAL HOSPITAL" – (weekdays, 2:00-3:00 p.m., check local listings) Port Charles gets a very special visit from Cupid this Valentine's Day when one couple spontaneously decides to tie the knot and another announces a surprise pregnancy. Meanwhile, Kristina is unnerved by how close Sam and Shiloh have become; and Sonny plans to whisk Carly away on a romantic getaway. "FRESH OFF THE BOAT" – "Cupid's Crossbow" – (8:00-8:30 p.m.) On Valentine's Day, the mood is anything but romantic as Jessica competes with Louis to see who can give Evan the best advice on how to celebrate with new girlfriend Sicily. Meanwhile, Eddie asks Honey for help to find out who his secret admirer is after he's passed a love note on a Cattleman's delivery run. "SPEECHLESS" – "J-I-- JIMMY V-A-L-- VALENTINE" – (8:30-9:00 p.m.) JJ's love match with Izzy becomes a cage match with Kenneth. Maya and Jimmy dismiss Valentine's Day as a holiday for suckers until they find a way to profit from it. Unable to find a date to a prepaid romantic night out, Ray brings Dylan.